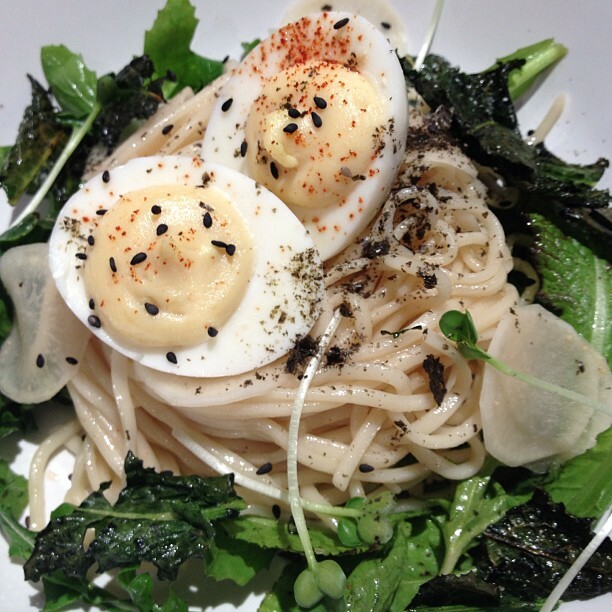 One of the benefits of growing veggies in the city is being on speed dial with amazing chefs. Ken Tsui, formerly of Eat Together, called us up last week to see if we had anything appetizing overwintering in our gardens. He does private meals for small groups and comes up with some of the most appetizing and creative menus I've heard of. We managed to supply him with some lacinato kale, tokyo cross turnips, collard greens, sunckokes and arugula. A handmade ramen salad with miso deviled eggs, toasted lacinato kale chips and dust, pressed turnip and wild foraged greens. 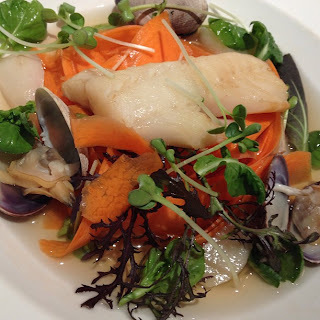 Soy-glazed, smoked cod with sunchokes, carrot noodles, and clams in a dashi broth - radish sprouts, chickweed, and tatsoi to garnish. 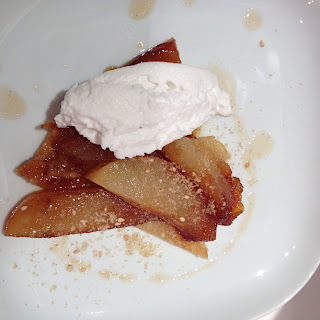 The dessert was an apple tarte tatin with five-spice crust and ginger honey-lemon drizzle. Also topped with coconut whip. If you are interested in having Ken come bless your space, he can be reached at ken.yk.tsui(at)gmail.com.